Forgot to post my list yesterday and I even had one!! GAH! So I'm gonna do that list with a bonus question as an apology and to keep my blog post title alliterative. It's from my usual source from last week actually. Non Sequitur Friday Five Saturday Six!! 1) What is your sneeze like? Really loud. I'm not one of those dainty girls with a cute little sneeze. No, I sound like a startled elephant. Then massive amounts of snot ooze out afterwards. Yeah, I'm gross. Even grosser my sinus cavity is linked up with my tear duct in my right eye, so when I sneeze stuff shoots out my eye too. Yeah. Classy. 2) How are you sleeping? Great, thanks for asking! My night terrors are on an upswing, but they never last long. So it's disrupting things a little, but for the most part I fall asleep early and stay asleep until it's time to get up. 3) What was your last stroll like? Short, but nice. Honestly, I think my last leisurely stroll was to church last weekend. It's always nice and quiet then. 4) What was the last thing you watched on YouTube? Really great info actually. I love this channel. 5) When did you last get something in right at the deadline? Man, I really don't know. I always do stuff ahead of time and I don't really have strict deadlines at work. I just do things when they need done. 6) What habit can you not break yourself of? Self criticism. I even tried and failed to make negative self talk the thing I gave up for Lent. I just have no idea how to be nice to myself I guess. Aside form treating myself with naps and food. Which I just did by the way. Yay for Saturday!! Good lord. 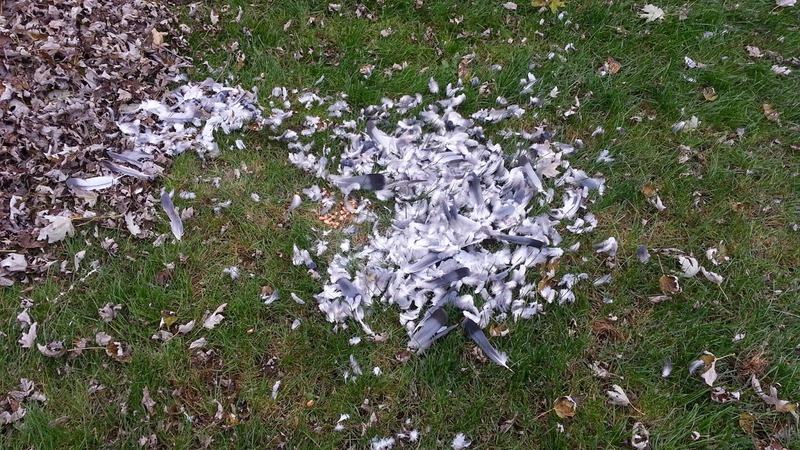 Hope all of you are better than this poor pigeon. Much love! !